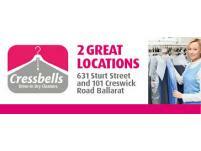 Cressbells Dry Cleaners are Ballarat's Dry Cleaning and garment care specialists. 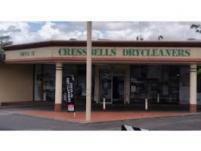 Cressbells has six convenient locations throughout Ballarat and we remain committed to customer service, quality, satisfaction and environmentally friendly processes. 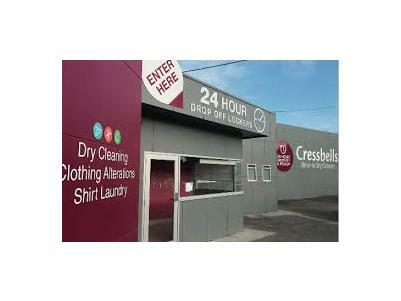 We employ cutting-edge technology with non-toxic dry cleaning materials and the very latest design in garment finishing equipment to ensure that your garments look like new. 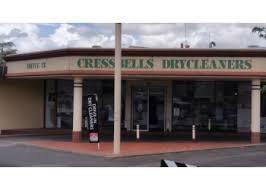 We provide professional services that handle both Corporate and Residential clients and our continued emphasis on quality and customer service has kept us a leader and innovator in the dry-cleaning industry since 1947.